In 2005 Peter Robieson had a dream about growing a business in adult literacy learning in the workplace. Since then Peter has surrounded himself with like-minded people. His team has grown Edvance to be an established Literacy and Numeracy Training Provider with an impressive NZQA Category 1 Provider status. What does Category 1 Provider mean? A Category 1 rating means the New Zealand Qualifications Authority (NZQA) is Highly Confident in both our educational performance and our self-assessment processes. 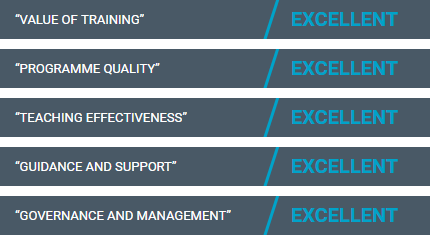 This is the highest ranking that can be given by NZQA in their External Evaluation Reviews (EER) and puts Edvance in the top percentile of approved training providers. For our clients this means we uphold the highest standards of training and delivery. Learning in partnership with clients in the workplace means we see first-hand your everyday processes as well as procedures. Our tutors are the eyes and ears on the ground in terms of considering how learning can impact positively in the workplace. Tutoring onsite means adhering to each workplace policy and procedure, to keep everyone safe. Edvance staff are professional and adhere at all times to your workplace requirements. Directors of Edvance, Peter Robieson and Ruth O’Keefe, recognised that workplace literacy can affect the bottom line. They wanted to challenge business managers who would never dream of asking their employees if they could read, write or add, and who never realised how low literacy, numeracy or computer skills was affecting their business’s bottom line. They wanted to show businesses that a personalised training programme, designed for their business, would give their team education which directly improves their operational performance and creates a happier, more positive team with better communication and workplace morale. Fourteen years on, Edvance continues to grow and be part of new and exciting initiatives to increase the awareness of how workplace literacy can impact not only on the business, but also the individuals who are part of this. We have a team of committed staff and contractors who have a wealth of knowledge and experience. “They are as passionate as we are about changing people lives,” says Peter. What we do, why we do it and how we do it? Edvance receives various funding from the Tertiary Education Commission (TEC), the main fund being the Workplace Literacy (WLN) Funding pool and Edvance uses this funding to support the delivery of learning programmes to clients. Programmes are delivered across multiple, culturally diverse employer sites nationwide. Each learner, who must be a NZ citizen or permanent resident to be eligible for funding, is offered a 25-80 hour programme of learning with delivery in small groups. The majority of our WLN TEC funded programmes run for between 10 to 40 weeks. Edvance also accesses the Intensive Literacy and Numeracy (ILN) fund. This fund allows us to prepare learners for a career in law enforcement as well as the defence forces. We focus on the pre-entry academic training needed for learners to pass the tests and progress into their respective career pathways. Edvance accesses this same fund for foundation based learning such as: Life Skills or English for Kiwi Life and Financial Literacy Programmes. accessing TEC-funded literacy, numeracy, or literacy and numeracy provision through another TEO or workplace. If they have more than 80 credits on the NZQF, the learner has fewer than 12 credits in literacy, numeracy, or literacy and numeracy in unit standards and/or achievement standards. To prove you are a NZ Citizen you need to photocopy either your Birth Certificate or your passport photo page. Participants can move through a learning pathway that meets the client company needs and employees’ individual needs. Consequently, several companies are choosing to fund ongoing workplace literacy, business communication and leadership programmes with Edvance. And more – just ask and we’ll be able to assist.  Because we are NZQA-accredited, we can also offer a number of unit standards for an additional cost.